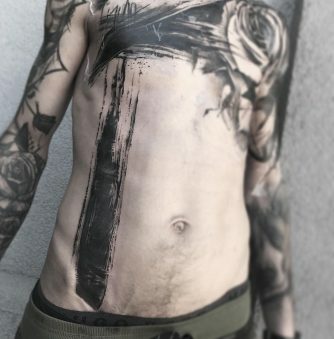 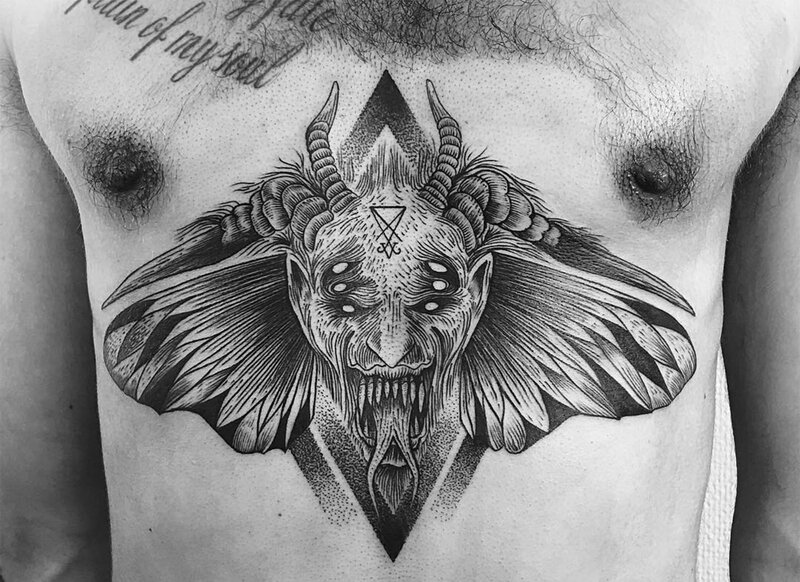 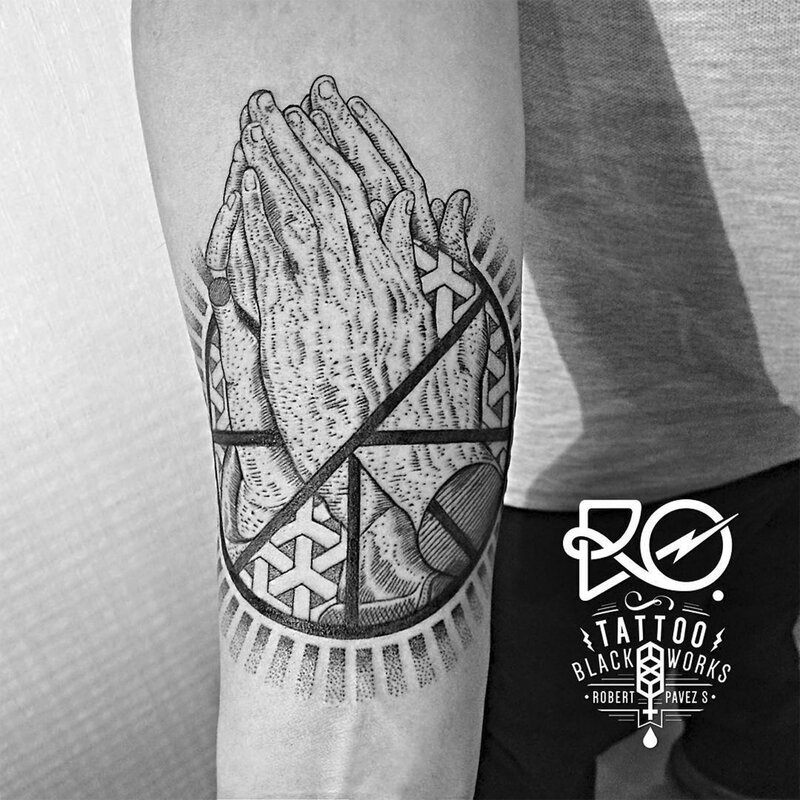 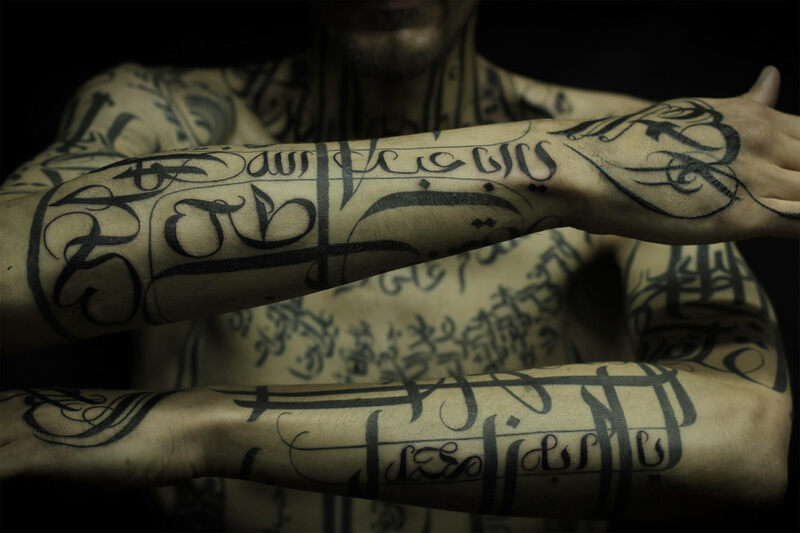 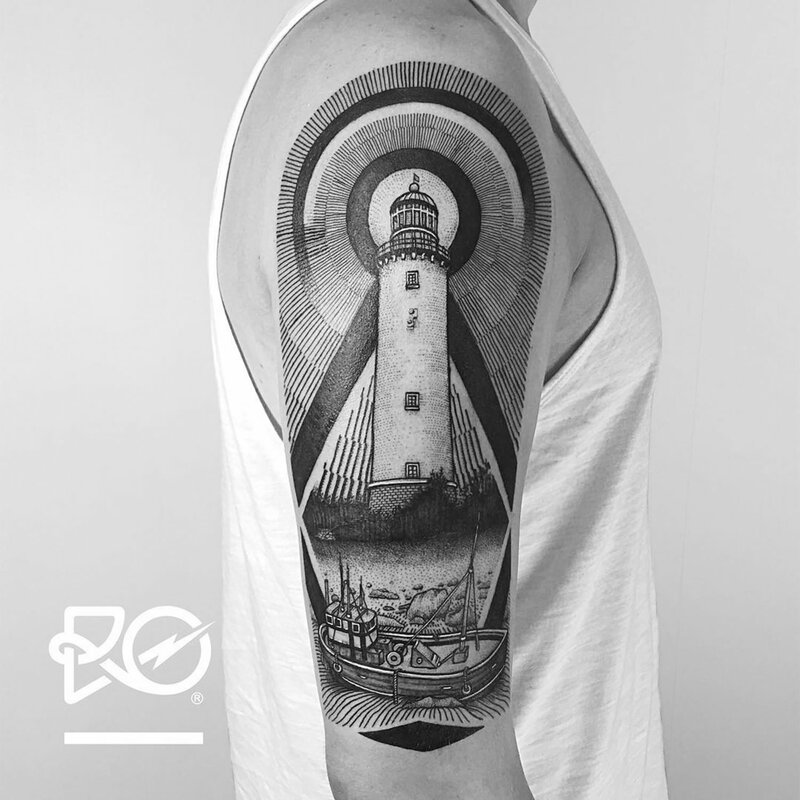 Robert Pavez is a self-trained tattoo artist whose formal training lies in graphic design—which is also where his career started. 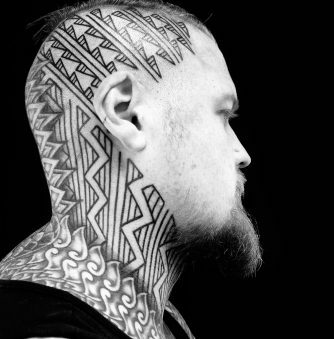 From 2007 to 2014 he was a print designer, seeing tattooing as a hobby. 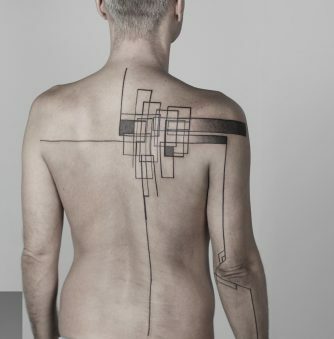 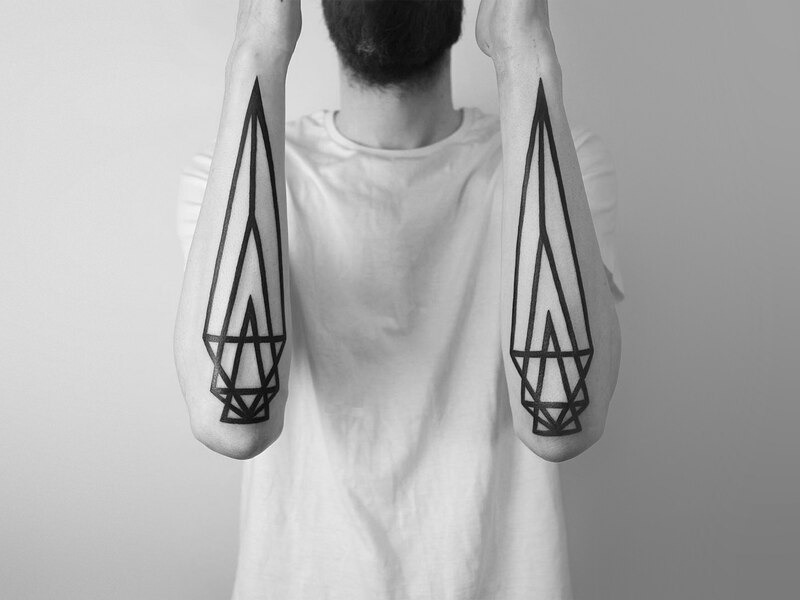 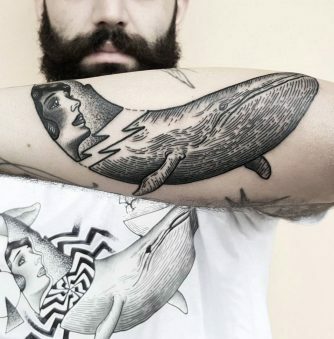 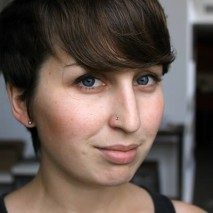 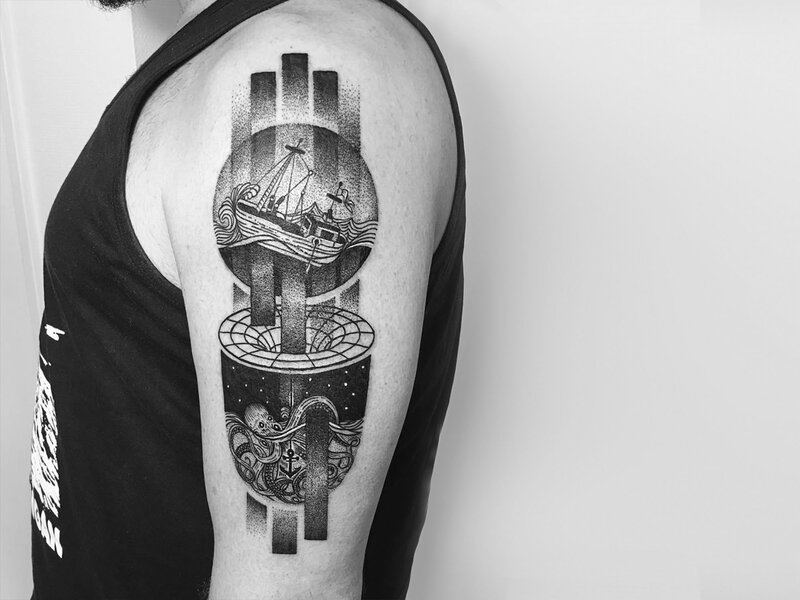 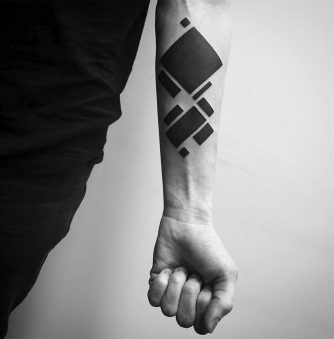 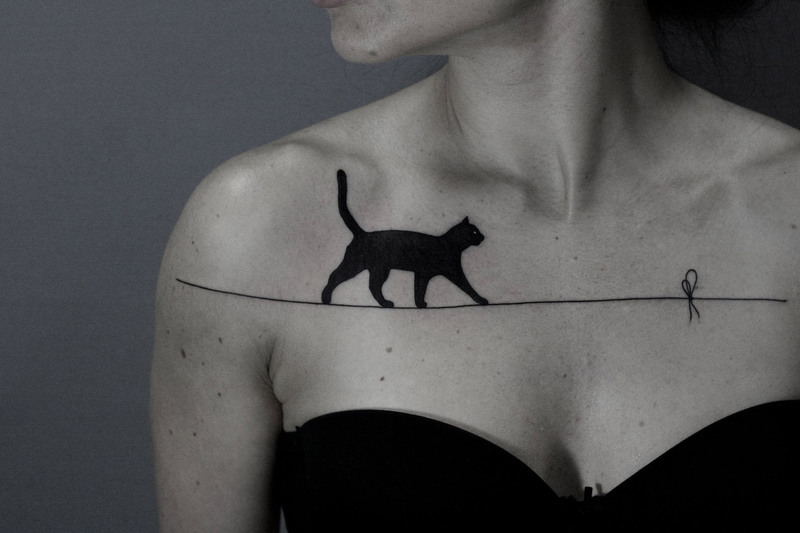 After developing his illustrative style—whose influences include geometry, etching, and artists like MC Escher—he began tattooing full time in Chile. 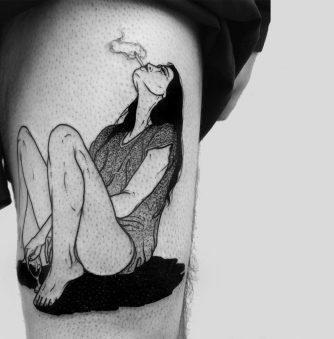 “I just thought I could get there and that I had nothing to lose,” he told Drawing is Not a Crime. 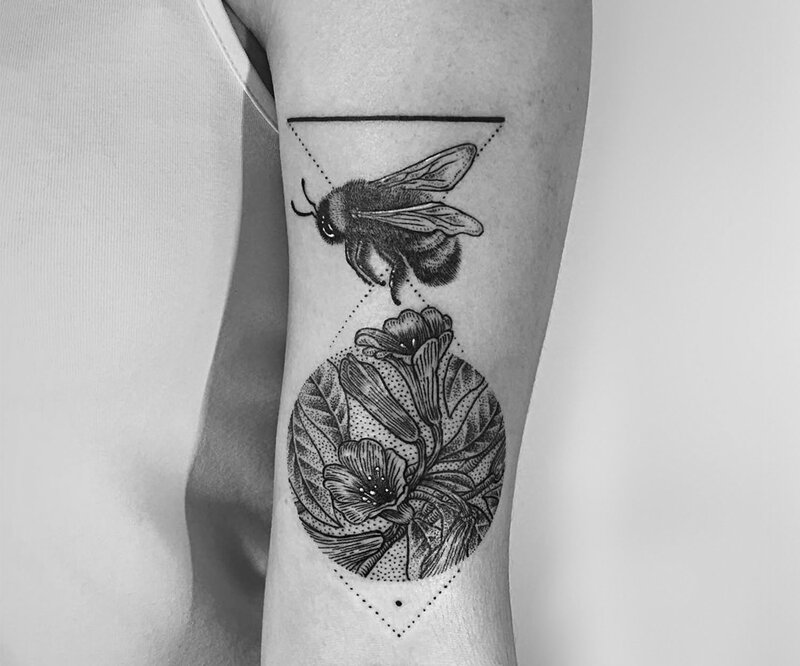 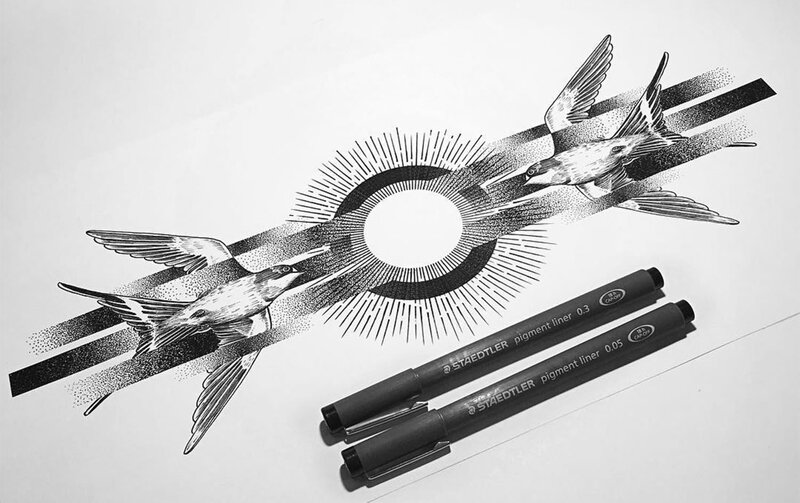 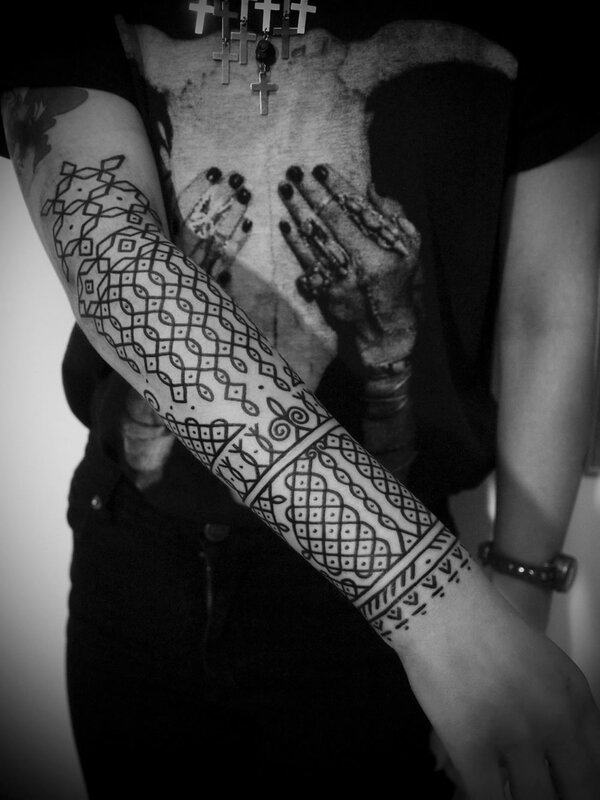 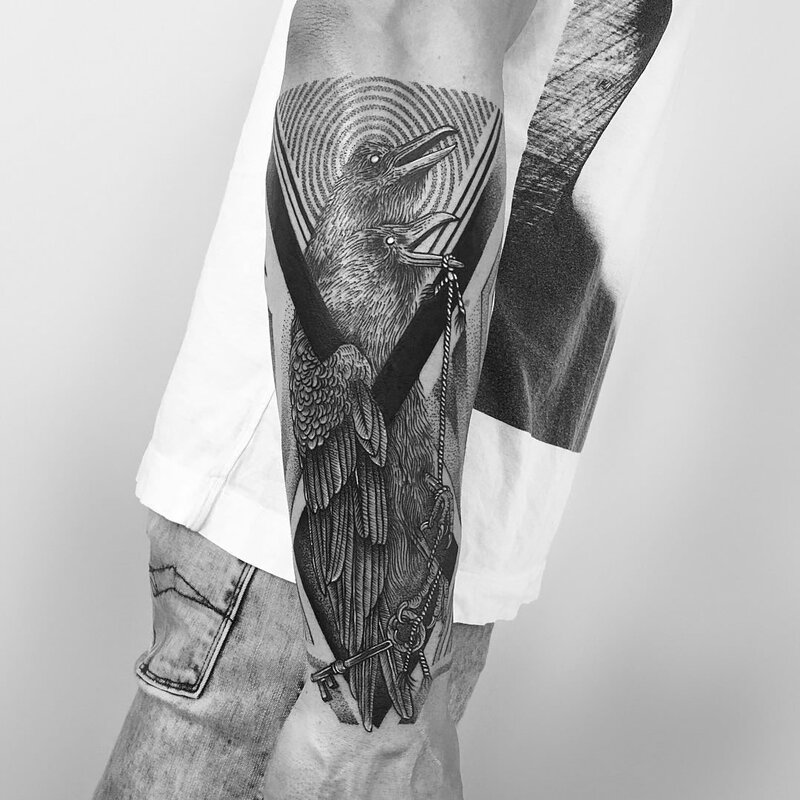 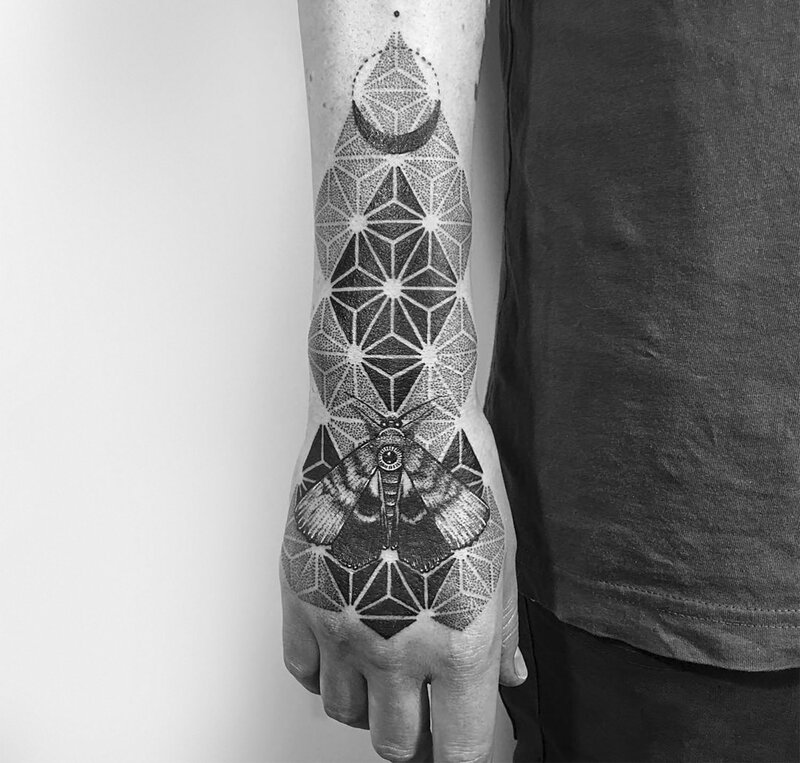 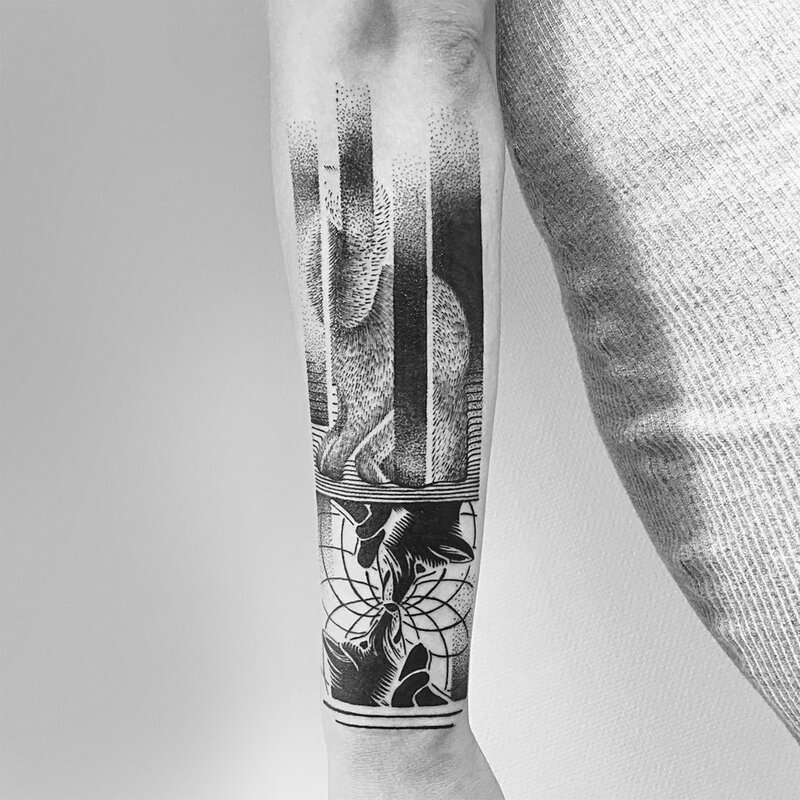 Nearly two years have past and Pavez now resides in Sweden where he combines intricate dotwork with short, technical lines reminiscent of Albrecht Dürer’s prints.